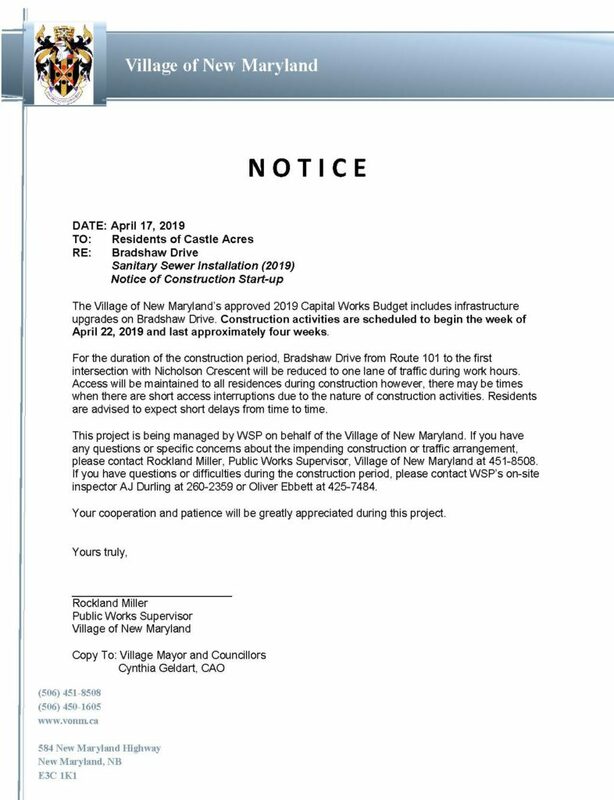 The 2019 construction season is underway beginning with the Bradshaw Drive Sanitary Sewer Installation project that will commence the week of April 29th, and will continue for approximately 4 weeks. Bradshaw Drive, from the highway to the first intersection with Nicholson Crescent, will be reduced to 1 lane of traffic during work hours and residents should be prepared for short delays at times. More information about the project can be found in the notice below.